Saint Plein – is a answer for new trends in full resolution designs. Clean and smart psd template with vertical and horizontal menu variants – ideal for Mutilpurpose eCommerce shop websites. 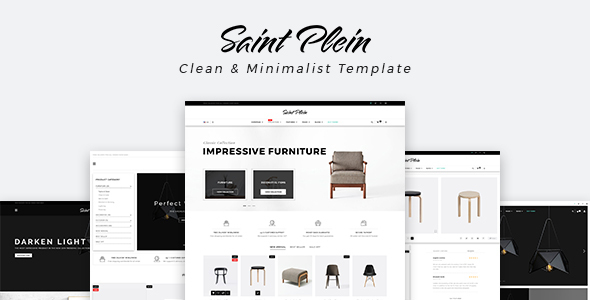 Saint Plein concept idea is to use as much space in very clean and userfriendly way to show lot of products in various ways. You can find 4 different HomePage styles, Landing Pages and lot of shop pages to choose your favorite. Any content from each single Homepage or shop page can be transfered into another one very easily. This entry was posted in psd-templates, retail and tagged bag, clean, creative, fashion, furniture, minimal, mobile, modern, multipurpose, one page, parallax, shoe, shop, store, unique by dadmin. Bookmark the permalink.